Good (whatever the time of day is)! 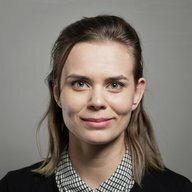 My name is Josefin Martinsson, and I am an aspiring Game Designer. My goal, during my time at PlaygroundSquad is to gain the knowledge I currently lack, in order to create games. So, why Game Design? Glad you asked! When writing, I like to play with different themes, perspectives, narrator voices and undertones, which the recipient can read in a multitude of ways. However, those possibilities stale in comparison with the variety of undertones you can create in the collaboration process, which occurs when someone plays your game.The audience cannot just consume the story passively, but need to interact and become an active part, in the creation of their own experience. You might already figured this out, but let me tell you anyway. Narrative Design is what originally pulled me towards this industry. However, after practicing different areas within game design, I have realised that there are more roles within the field, which I am interested in pursuing. 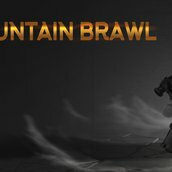 I worked at Mountain Brawl as one of the two Designers.